Our state of the art putting course opened in September of 2013 and has been enjoyed by thousands of golfers over the years. At just over 23,000 Sq Ft in size, this course is like playing on a real golf course, only its a miniature version! As you make your way through the course enjoy water ponds, streams and water falls, rock terraced fairways and greens, real sand traps, beautiful landscaping and more! 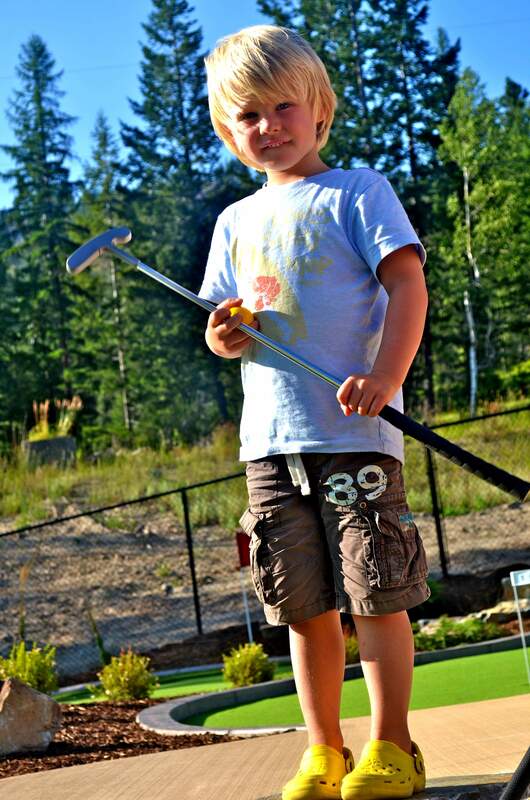 The putting course is wheelchair friendly & we have a variety of putter sizes to accommodate all heights. If you prefer to use your special putter from home, you are welcome to bring it with you. 50% Off: All golfers (including the public) will be offered a 50% off coupon to be used on their next round of golf if they come back this summer! Season: The putting course is open daily from early May to late September, weather dependent. May, June, Sept: The course is open during regular campground office hours and tickets may be purchased from the campground office. July and August: The course is open during daylight. In the mornings tickets may be purchased from the campground office. From 1pm to dusk tickets may be purchased from the putting course hut. Closures: During rainy or stormy weather it may be necessary to close the putting course early. If your game is interrupted by a closure you will receive a rain-check to return and enjoy another game when the weather improves. We drove 7.5 hours from Edmonton and already would do it again for this campground! Thank you Kimberley. Our Campground is open with full services from April through to mid October (exact dates TBC). We are available to accept reservations year round with limited office hours in the winter months. 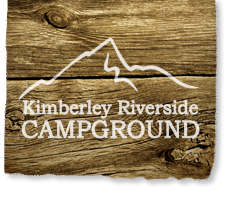 The Kimberley Riverside Campground is the ideal setting for family reunions and special group gatherings. Park facilities, picnic shelter and BBQ can be reserved for your group function, please inquire at the office.